SAY San Diego is looking for assistance to design a logo for a new early childhood center that is complementary and visually congruent with the organization’s logo. We have a team ready to work with the graphic designer, and already have a few ideas to get the process started. Once the project is completed we have the budget and staffing to produce the logo in digital form and on signs. 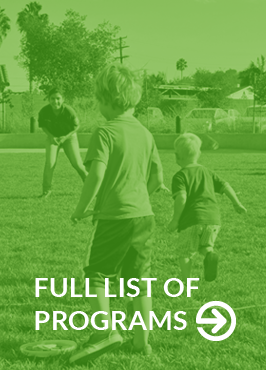 SAY San Diego is a well-established leading nonprofit provider of youth and family services throughout San Diego County. We have a new project to create workplace and community child care, meeting a serious need in our County. A donor has helped to finance our new early childhood center and we are honoring him by naming the center for him. Therefore, a new logo, which is visually congruent with our organizational logo, is needed. The center is scheduled to open this summer and the logo will have long lasting value. For more information, contact Chris Jewell, Vice President, Child and Youth Development, SAY San Diego at gro.o1556131043geidn1556131043asyas1556131043@sirh1556131043c1556131043 or 858-565-4148. You can also visit https://www.volunteermatch.org/search/opp3100197.jsp for further information. SAY San Diego is looking for volunteers to conduct community assessments in the North Central region that will provide insight to the community’s understanding of local and regional issues pertaining to underage drinking, over-concentration of alcohol businesses, youth access to and use of marijuana, misuse of prescription drugs, meth and other synthetic drugs, and neighbor safety. Volunteers conduct community assessments around substance abuse, and risk assessments of alcohol establishments, using an app to record standard of service of alcohol beverages. Are you interested in performing observational assessments of smoke-shops, hookah lounges and vape-shops? The Tobacco Smoke-Free Project (SDSFP) is part of SAY San Diego’s Alcohol, Tobacco and Other Drugs Prevention Program (ATOD). The ATOD program works toward social and policy changes in relation to towards tobacco control issues. SDSFP is currently doing evaluations at new tobacco businesses that are within 1,000 ft. from schools to understand business practices, compliance with state/local laws, products sold, environment of the stores and overall operations etc. If you are interested in this opportunity, please write directly to Manuel Andrade at gro.o1556131043geidn1556131043asyas1556131043@edar1556131043dnaj1556131043 as soon as possible. Questions: Manuel by email or phone: 714.317.3971. SAY San Diego is looking for volunteers who have interest and the potential availability to act in the role of receptionist. A few times a month, we have gaps in our coverage of the front desk. If you join the pool, you will receive emails with information on opportunities to fill in at reception. When you receive an email requesting assistance, you can respond if you can fill in. SAY San Diego is looking for volunteers who have interest and the potential availability to volunteer with our Resource Development (RD) team. This department is responsible for fundraising events, communications/marketing, grants, and sharing the story of SAY San Diego to inspire others to support SAY’s mission. Periodically, RD is in need of one-time support with administrative/miscellaneous tasks. Tasks can include: sorting, organizing, filing, copying, creating folders, and assisting with mailings. If you join the pool, you will receive emails with information on opportunities to volunteer. When you receive an email requesting assistance, you can respond if you can fill in. For more information, contact the Volunteer Engagement Manager at gro.o1556131043geidn1556131043asyas1556131043@reet1556131043nulov1556131043.